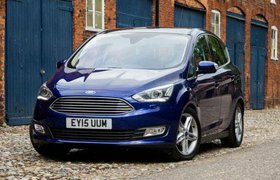 Ford C-Max: tell us what you think | What Car? 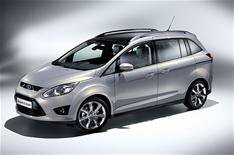 We think Ford's new seven-seat C-Max could be its cleverest MPV yet but what do you think? Why not come and tell us in person at an exclusive preview of the car here at What Car? HQ. We're looking for six readers to give us their verdict on the brand-new C-Max, which goes on sale towards the end of this summer and should be priced from just under 19,000. The new car, which is based on the same new mid-size platform that will be used for other new Fords including the new Focus, puts all the tricks of a much bigger MPV such as sliding doors and a walk-through interior into one you can park in a much smaller space. If you would like to take part, e-mail [readertestteam@haymarket.com](mailto:readertestteam@haynet.com?subject=C-Max reader test team) by midnight Sunday, 31 January, and tell us: what car you drive, where you'll be coming from, your mobile number and why you're interested in seeing the new seven-seat C-Max. The preview will take place What Car? 's offices in Teddington, Middlesex, from 4-6pm on Monday, 15 February. Your comments and photographs will appear in the April issue of What Car? magazine's Reader Test Team feature; you'll also be asked to speak on camera for footage at whatcar.com. Please bear in mind that you will not be able to drive the car this is a chance to give your views on its design, ergonomics and specification. Six readers will be invited to attend we'll get in touch the following day if you've been successful, with further details of the event.